OKLAHOMA CITY – October 1, 2012 – PostRock Energy Corporation (Nasdaq:PSTR) (“PostRock” or the “Company”) today announced that it had sold PostRock KPC Pipeline, LLC (“KPC”) to MV Pipelines, LLC (“MV Pipelines”) for $53.5 million in cash. Of this amount, $500,000 will be placed in escrow pending cleanup of a former KPC site. PostRock may receive additional payments of $1 million a year in each of the next four years if KPC’s EBITDA (as defined in the agreement) exceeds a target amount. The sale is subject to a working capital adjustment. After approximately $2 million in estimated transaction costs, the Company will record a loss on the sale of approximately $6 million. Net proceeds from the sale will be used to repay borrowings under the Company’s credit facility. The Company’s borrowing base has been reduced to $120 million. PostRock’s next borrowing base redetermination will be based on its reserves at June 30, 2012 and become effective October 31st. After applying the sales proceeds, PostRock’s debt totaled $104.3 million. KPC is a 1,120 mile interstate pipeline, which transports natural gas from northern Oklahoma and western Kansas to Wichita and Kansas City. PostRock Energy Corporation is engaged in the acquisition, exploration, development, production and transportation of oil and natural gas, primarily in the Cherokee Basin of Kansas and Oklahoma. The Company owns and operates approximately 3,000 wells and nearly 2,200 miles of gas gathering lines in the Basin. 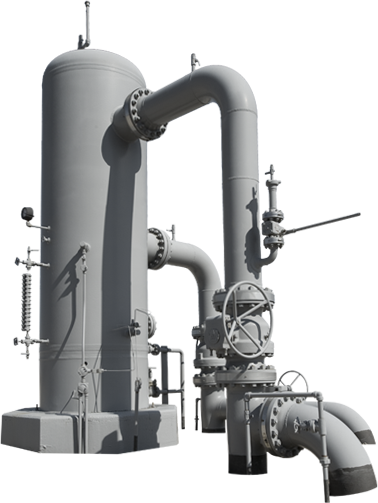 MV Pipelines, LLC is a privately owned company. Its owners also own MV Purchasing, LLC. MV Purchasing, LLC is a privately owned energy logistics company headquartered in Wichita, KS. MV Purchasing provides gathering, transportation, storage, distribution, marketing and other midstream services to independent oil and natural gas producers, refiners of petroleum products and other market participants located throughout the United States.